Loves Me, Loves Me Not, Loves Me! So I think of their free digi. 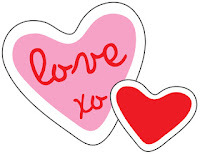 They are cute and sweet, and also as heart do, look petal like. girlhood fancy of pulling petals from a flower to see if your fair love loves you too. so I may have to make this card again without it. I just wanted to play, so hey, it was fun. A full flower, and a flower with petals pulled. 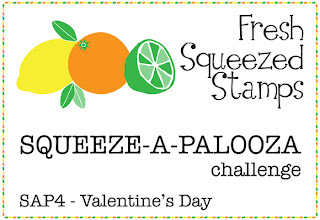 Well, I have a serious CRUSH on Fresh Squeezed Stamps! So I am sending my Valentine to them for a chance to win one of their epic sets. They give you this great super cute digital image to play along. Also, the more votes you get, the better chance to win a prize! So I am smooozin for votes! 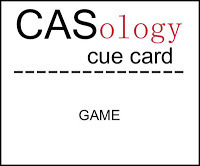 Well, the lovely ladies at CASology want you to get your GAME on! So I am bringing the LOVE game. 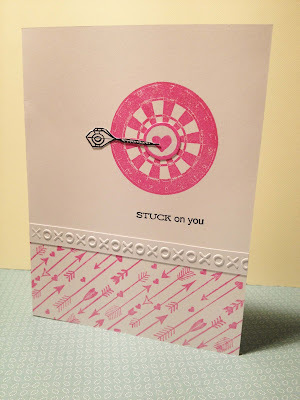 I think Valentines are my favorite cards of all. You can be bright and bold and romantic, humorous and sweet. 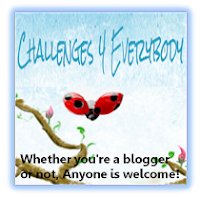 You have to go check out their products! They are on my OFFICIAL Must have wish list.. Which by the way is growing exponentially every time I peruse the awesome designs on CASology, from designers and the artist posting their fab takes on the challenges. Love the XoXoXo Embossing Strip Folder! And the Brilliance ink - it is just that Brilliant!!! It just shines! I fell head over sketchers for all of the colorful washi tape! Oranges, Turquoise with Greens and Yellows..
Don't know what to do with all of the washi lovelies? Cascade them down your card like rain! Inspiration, Banner Paper led me to this very quick and easy card. I may have to make several folks. 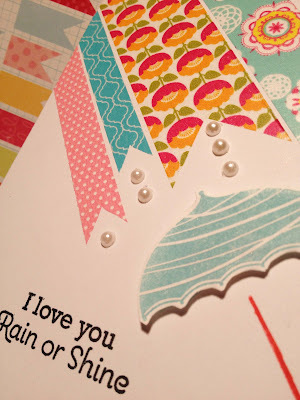 Closer look of the "Washi Rain"
And a whole lotta Washi! Washi: Recollections, Martha Stewart, misc. I really love cute little critter stamps. I have several. Though I haven't made allot with them. Inspiration hasn't always hit on exactly what I should do. me think of this cute owl in the log stamp right away! 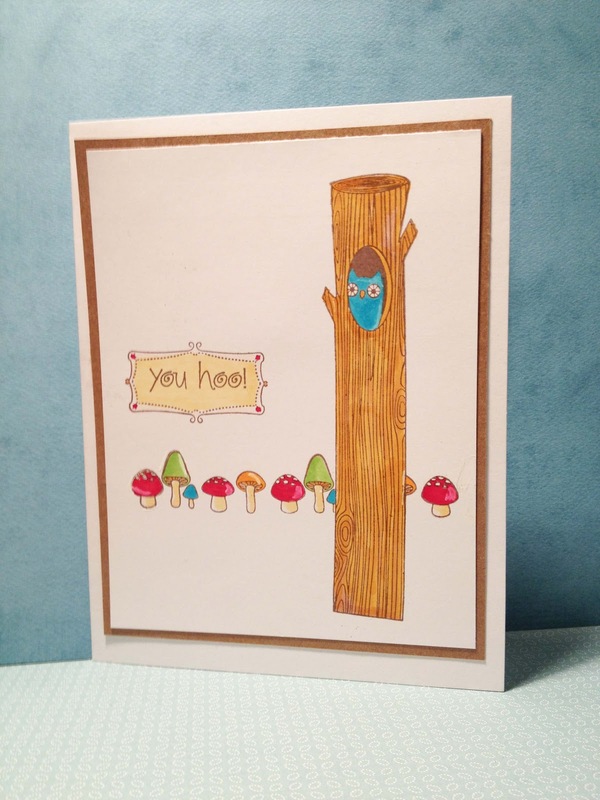 Yay, now I was going to make a card with some critters. I used a white uniball pen for some dimension in the mushrooms. I just love it when I use a set I have had for awhile that I have only used part of. This Hampton Art Set is so adorable! 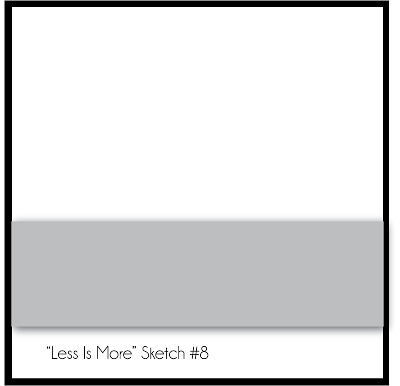 I knew I wanted to do the Less is More challenge with a strip in the bottom third of the card only. 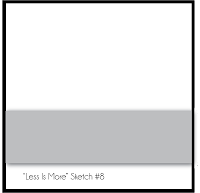 I knew that I wanted a flowing watercolor image. What was strange today is that during my boy's Karate class, I wandered over to the artist shop as I thought I needed masking fluid to do a watercolor card. My husband went and met his best friend for lunch. I then wandered over to the local Children's Hospital thrift shop. Of course I look at the art and stamp supplies. A lonely stamp caught my eye. 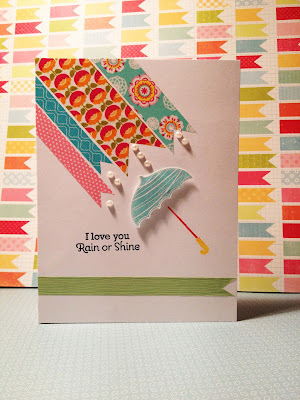 A Stampin Up! 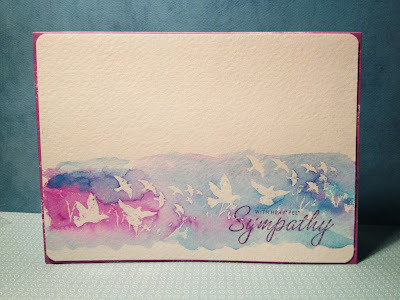 Sympathy stamp. I thought, I don't have any like this. I held it. I thought again.. I really do not handle loss well. I hope I never use this..and I slowly went to put it back.. my hand hesitated, and I lost focus, as I looked at the shelf above where I was going to put it back..having one of those half second moments where you go to do something and in an instant forget exactly what it was. I snap back and realize I am still holding it. Karate goes very well and we head home. My husband returns home looking a little white and strange. He proceeds to tell me that his best friend's wife's mother just passed away. I could not believe it. I go pale. This card was immediately made for her. So appropriate to send her something I have made from my heart. 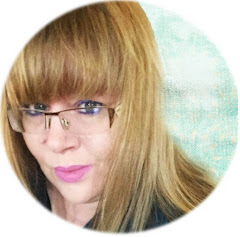 She is the wonderful card maker that started our monthly card club and inspires me to continue to create, for the sake of creating and the love of art. 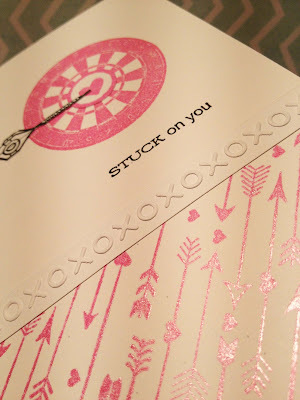 Close up: Watercolor and stamping over clear embossing. This is actually getting mailed out for a dear friend. It's simplicity itself, so to add a little constraint, the card stays in this orientation ie that the band remains in the horizontal plane, in the lower part of the card and that it takes up no more than 1/3rd of the height of the cardbase. Ahah, I see you are. So, I will post another card! 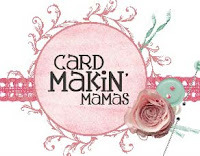 LOL..I am silly when I work on cards. Sometimes when you think of drink, you think of odd things. Especially with Valentine's Day coming up... I think of Love. Love Potions and the like. And really wanted to do it too! and then popped the potion jar on another strip of foam tape. Close up: I took my detail scissors and pierced around the label.. 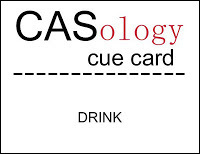 This week, CASology cue word is the word DRINK and what it brings to mind! we are going to Maui for a week in April this year! Now I can't stop thinking of the fun times ahead! ....For now, I still work in the morning!!! Card Club was great today! Tina really had a warm and inviting home that really relaxed me and made me feel at home. I was so inspired when I left that I visited Paper Source and the Impress stores at the University Village in Seattle on the way home. 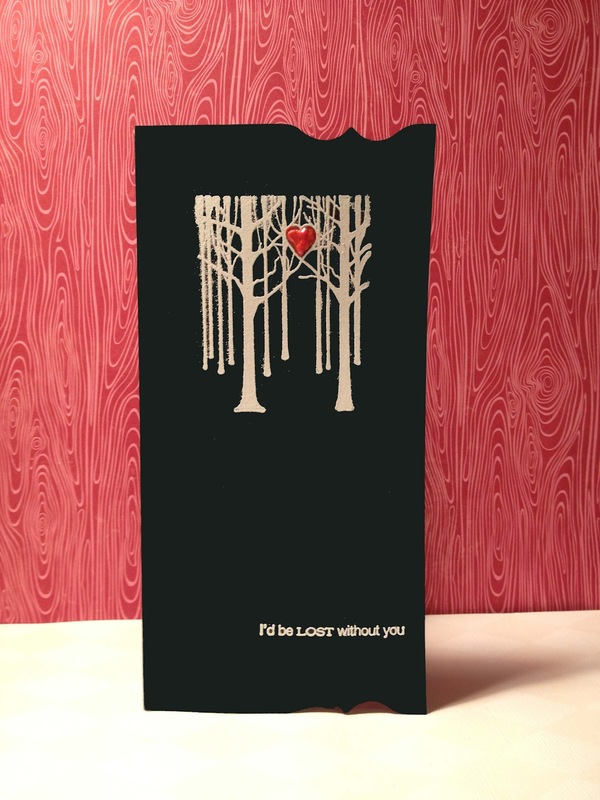 This lovely Memory Box In the Woods stamp called to me. 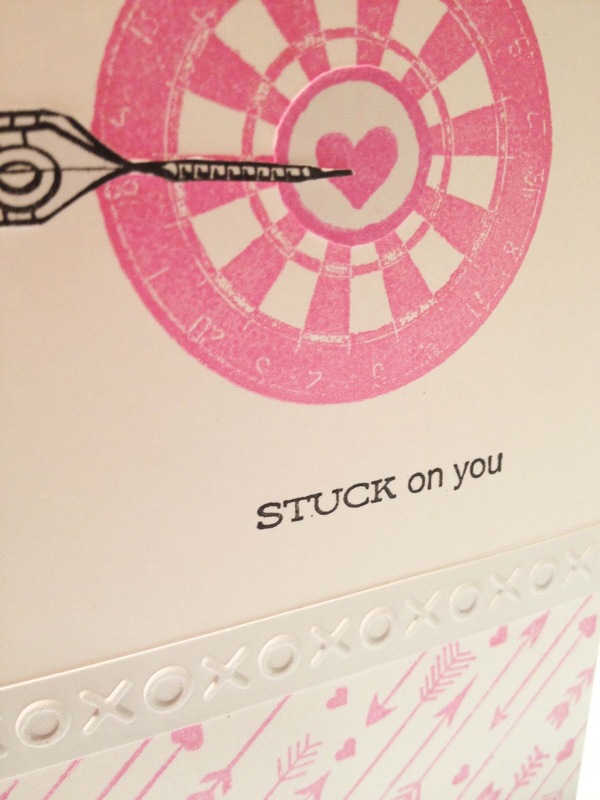 They displayed on a pink gingham card with glitter and all cutesy. I wanted to go goth and Twilight-esque with it. I thought: "What type of card would Bella give her man?" Well, my style is all over the place. I really don't have a set style. 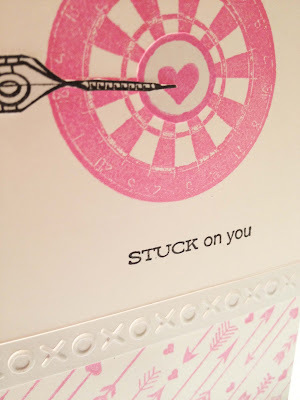 Mostly I do a card and afterwards I then see all the ways to perfect it, and then I am over it.. This is the card I made tonight. 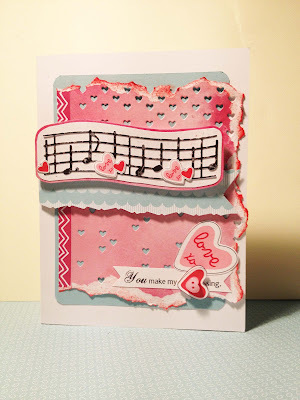 I am liking the Tim Holtz grunge look so I made a "grungy" type of card. I loved the effect of the flying butterflies in the Colorbox Fluid Chalk Wisteria Ink Pad against the script paper. The large butterflies and the sentiment is in Dew Drop Crimson. It has a glittery sheen to it. And this is me holding the three cards I made for Card Club this Saturday. Today at the Snoqualmie Summit Tubing Area! Today, this Saturday was Awesome!